What Services Do Orthodontics In Canberra Provide? Canberra offers a variety of dental procedures to their patients on a regular day to day basis. Dentists usually specialise on a particular treatment such as orthodontics and finding a professional for your particular dental problems will help save you a fair amount of time. Let us look at the services of Orthodontics in Canberra and what type of services they offer to their clients in the present. An orthodontist in Canberra is usually the one in charge of correcting teeth and jaws of their patients that are position ed improperly. Accidents and injury can result to a broken or misaligned teeth. If not treated in a timely manner, they become at risk of developing tooth decay and periodontal disease which can be problematic to deal with. Canberra orthodontics offers a great amount of relief to their clients offering a variety of procedures to help them with their dental problems. Among the list of services include the use of braces, aligners, maintainers, special fixed appliance, headgear and the likes. Canberra orthodontics also provides new innovations with their procedures introducing the use of clear braces as a great substitute to metal braces. Be sure to schedule an appointment with an orthodontist in Canberra in advance to have your teeth checked. This in turn allows patients to see if they are a good candidate to receive an orthodontic treatment. Discuss with your dentist some of the orthodontic procedures that will be able to suit your preference and needs. Dental problems can occur when one least expects it which can make them troublesome to bear. This is quite apparent with toothaches and other similar incidents that happen during the late hours of the evening. Most if not all of the dental services are closed during this period making it much harder to find the much needed assistance. Fortunately, emergency dentist in Canberra has extended their reach and services providing timely relief to a variety of dental problems. Emergency dental in Canberra is offered on a regular basis to patients that require immediate dental assistance. This includes severe toothache, any trauma to the mouth, dislodged or fractured teeth and the likes. Time is off the essence with these dental emergencies as every second counts in helping save your teeth. It is good to hear that emergency dentist in Canberra can be found in a fairly easy manner with them setting up and integrating their services over the internet. This in turn makes it possible for just about anyone to get in touch with them at any given time when the need calls for them to do so. Emergency dentist in Canberra also provides extended services offering treatments after office hours, during the weekend as well as during the holiday season. As a result, patients feel a great measure of relief as they are sure to find an emergency dentist that will attend to their needs. Find an emergency dentist in your area today. Each and every one of our tooth goes through a lot of stress with them being used on a regular day to day basis primarily with the various foods that we are eating. Over time, our teeth become susceptible in developing a variety of oral problems. If left unattended for a considerable period, our tooth becomes at risk in developing serious damage to the point that they are irreparable any longer. During such cases, tooth extraction is the only choice left to help relieve people from the pain that they are experiencing. Tooth extraction in Canberra is a popular practice making it important for dentist to provide their clients with good alternatives for their teeth replacement. In some cases, even the healthy ones such as the wisdom tooth are being extracted as they are known to cause problem s in the future. A normal tooth extraction in Canberra has an average cost of $167 but can range from $120 up to $268 and this price can depend on a number of factors such as using a local anaesthetic or sedation. Wisdom tooth extraction cost in Canberra however is a bit pricier when compared to a normal extraction procedure. The reason behind this is that adult teeth has 4 wisdom teeth doubling or tripling its cost. People can expect paying $300 to $800 for all four of their wisdom tooth to be extracted. With that being said, wisdom tooth extraction cost in Canberra can be lessened with the help of your dental insurance so check in advance if your insurance will be able to cover some of its cost. Modern dentistry introduces new innovations on how they treat a variety of their patient’s dental problems using the latest technologies found today. One of the newer innovations can be found in the form of Invisalign. Let us consider what role Invisalign has and how it differs to the regular braces in the present. Invisalign’s most famous feature is their distinctive ability to mask braces making them harder to detect. Also known as invisible braces, Invisalign provides a great solution to people who are conscious about wearing their braces to the public. Invisalign in Canberra is also growing in popularity due to the huge amount of convenience it brings to its users. This in turn gives their wearers a huge boost of confidence allowing them to smile with little to no hesitation. Invisalign in Canberra are also quite flexible allowing them to be easily removed at any given time when the need calls for them to do so. This provides a great measure of comfort for people who want them removed while eating or drinking. Invisalign cost is one of the issues that can hinder people from getting one for their own. Invisalign cost can range from $3,500 to $8,000 making them quite expensive. With that being said, the huge benefits it provides to its wearers makes them an investment that is worth your time and resources. Get in touch with your dentist as you work together in getting Invisalign crafted for your teeth. 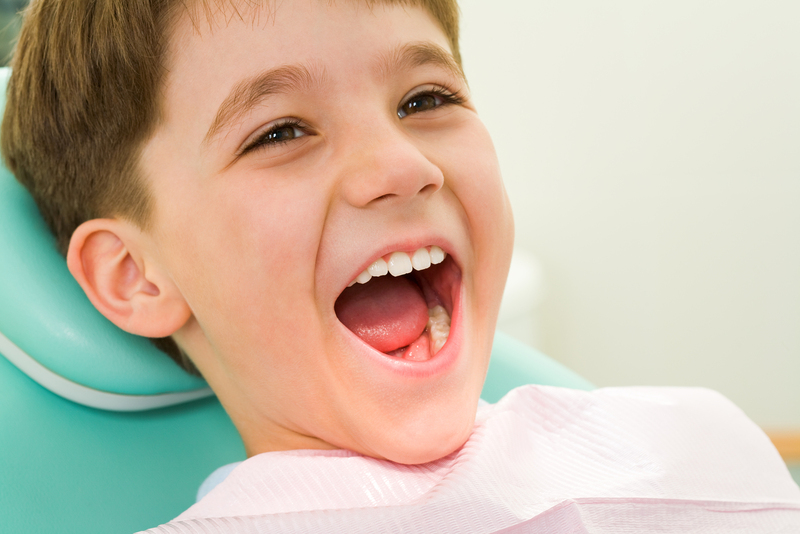 Children are prone to developing a variety of dental problems. If left unattended, these dental problems can leave a serious mark to a child’s tooth which can affect the quality of smile they can project. For that matter, it is important that parents introduce their children to dental services at an early age to promote good oral habits. It should be noted that dentists today each have their own main expertise and specialisation. Children’s dentistry is often managed by a paediatric dentist who helps promote the dental health of children while at the same time serves as an educational resource for parents with regards to oral health. It is important that parents provide the right type of dental services for their children and not settle for any less. A paediatric dentist in Canberra will be able to do just that by taking the necessary efforts in keeping their clients feel relatively at ease and safe during their visit. This in turn helps children feel more comfortable before, during and after their dental checkups. Children’s dentists in Canberra also works hand in hand with parents to provide comfort and convenience with their dental service. This will help keep children’s teeth fully developed while at the same time reduce the likelihood of developing dental problems in the future. Schedule an appointment in advance with a paediatric dentist in Canberra to have your child’s teeth assessed and see if there are any underlying problems. Modern technology has paved the way in introducing new and innovative treatments and procedures in the field of dentistry. All of these efforts were made to benefit each and every one of their patients. As a result, patients today will not be finding any shortage of dental procedures that makes use of the latest technology and equipment found in the present. Let us consider some of the services that a modern dentist in Canberra offers today. A lot of changes has been made in the practice of dentistry. Back then, a huge number of individuals have fears of going to a dental clinic with stories about the discomfort and pain many experience during their visit. Things changed however for the better, with modern dental procedures making use of painless and hassle free treatments. For instance, modern dentist today keep their clients relaxed while at the same time block pain through sedation. The procedure is quite popular with a modern dentist in Canberra making their patients feel calm and relatively at ease in the process. Aside from sedation, new technologies have been introduced in the form of laser dentistry which helps effectively remove any form of bacteria from your teeth in a timely and effective manner. There are also innovations such as Invisalign which is a very good alternative to metal braces as they are practically invisible and can be taken out easily for cleaning. 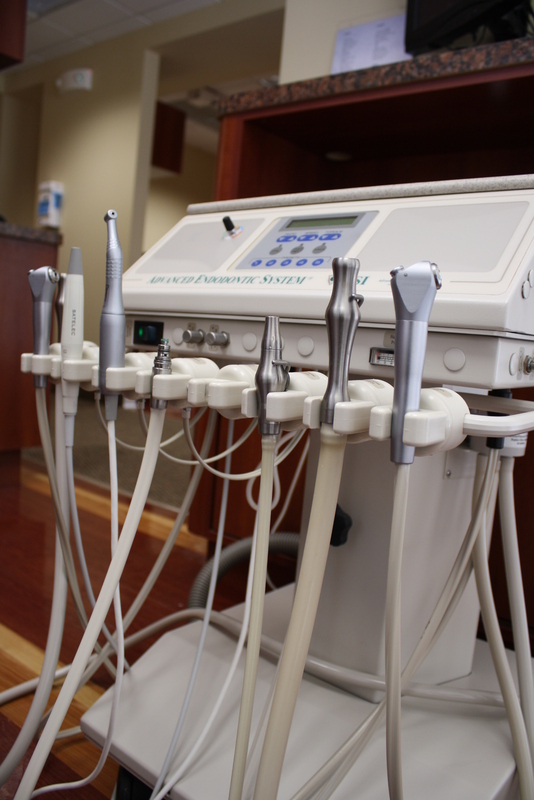 Make sure to look for these modern dental procedures during your next visit to your dentist. Dentistry is considered to be an invaluable service which plays a very important role in keeping our teeth in good condition. This is the reason why a huge number of individuals always have dentists and their numbers close which allows patients to reach them with ease. Things change however, during the evening with most of their services closed until the next, dental emergencies can happen at any given time which can be troublesome to experience. Let us look at how people are able to keep these emergencies in check with the aid of after hours dentist in Canberra. Late night dentist makes it possible for the clients to receive dental care and attention in a timely and orderly manner. This is crucial especially when dental emergencies occur as every second counts in helping save your tooth. Emergencies however, is not the only case where patients benefit greatly from the services of late night dentists. For example, patients who have their hands full with work and other related activities will have little to no time to go to a dental clinic. Such is not the case with after hours dentist in Canberra as people are able to visit their clinic at their very own leisure and pace. The same can also be said with regards to a weekend dentist with them extending their services to those in need. In fact, a number of people prefer to visit an after hours or a weekend dentist as the clinic will not be very busy during that time. Find a late night dentist in your area today! Dental braces are used to help align and straighten teeth while at the same time improves dental health. Treatment often can take a couple of weeks or even months before they are complete. For that matter, people will have no choice but to wear these braces for a considerable period of time. In addition, they also don’t look very pleasant to the eyes. Inman aligner aims to solve these types of problems with the state of the art technology. One of Inman aligner’s most defining trait is that they can be easily removed. This is perfect for those who want to eat their food with nothing bothering them. Braces on the other hand, can only be removed by dentists making them problematic to hide or get rid of. Aside from easy removal, Inman aligner retainer also possesses great qualities particularly with the way it looks. An Inman aligner retainer has a transparent layer in the front making them a bit harder to notice. This in turn helps give their wearers the confidence boost that they need allowing them to wear them in the public with little to no trouble. Inman aligner cost/price can be pretty steep ranging from $2000 up to $3500 and this can vary depending on the number of visits required. For that matter, patients are advised to look for a professional Inman aligner dentist in order to maximise the effectiveness of the procedure. Find an Inman aligner dentist and discuss with them the Inman aligner cost/price to help you get started. Many are plagued by a variety of dental problems which affects not only their teeth but the gums and the whole mouth as well. This in turn can affect the overall quality of smile a person will be showing. This is the reason a huge number of individuals take extra efforts in caring for their teeth keeping them in fairly good condition. Good oral care however, is something that can be fully accomplished by yourself and this is quite true as people are advised to visit their dentists regularly. Let us look at the role of preventive dentistry in keeping our teeth in good shape. It should be noted that preventive dentistry takes many forms. For instance, daily brushing as well as regular flossin g are considered to be a form of preventive dental care. However, as mentioned earlier, there are some areas of our teeth that we sometimes can’t reach with normal brushing and flossing. There is a huge likelihood of bacteria to develop over time so it is important to have them cleaned with the help of professionals. Dental cleaning is under preventative dentistry which aids in removing tartar in areas that are difficult to clean. Aside from our teeth, preventative dental services also include having our gums checked to see if there are any signs of disease. Preventive dental care reduces the likelihood of patients developing dental problems which include cavities, gingivitis, enamel loss as well as periodontitis. Schedule an appointment with preventive dentistry in Canberra and make use of their variety of preventative dental services today. Canberra is the city capital of Australia with a dense number of populations. People living around the city need to look for services to help compliment their day to day activities. One of the most sought after service in the present can be found in the form of dental care. Finding city dental near you becomes an utmost importance particularly during emergencies. Let us guide you through in looking for a dentist in Canberra city. Dental emergencies can happen when one least expects it. An accident for instance may result to a broken or chipped tooth. During such cases, it is important to make use of the services of a city dentist to help save your teeth. City dental cuts the travel time of their clients allowing them to perform their dental treatments and procedures in a timely and effective manner. As a result, the dentist’s first response can be performed right away. Aside from dentists situating their clinics in the heart of the populace, Canberra city dentistry has also extended their reach over the internet. This is made possible with them setting up and integrating their services online. Most dentist in Canberra city are running their very own websites which welcomes their clients, visitors and guests throughout the entire day. This in turn has made their services more accessible making them fairly easy to come by. Schedule an appointment in advance with Canberra city dentistry to have your teeth checked and see if there are any problems.